Carly Rae: They were making travel less expensive. This was their thing. Fun fact, Seal ate an entire loaf of bread one slice at a time. I’m sorry. I shouldn’t say that. Zane Lowe: Who is this person? Oh my God. Carly Rae: It was gluten-free though. So that’s good. Zane Lowe: It’s totally acceptable. One slice, very deliberately. Carly Rae: I shouldn’t talk. I’m in television or radio. Zane Lowe: No, you should. In fact, we’re about five minutes away from me offering you an entire Beats 1 season, no questions asked. Seriously, it’s yours if you want it. Take the real estate. … So could you talk to Seal or was he just eating gluten-free bread the entire time? Carly Rae: His mouth was rather full. 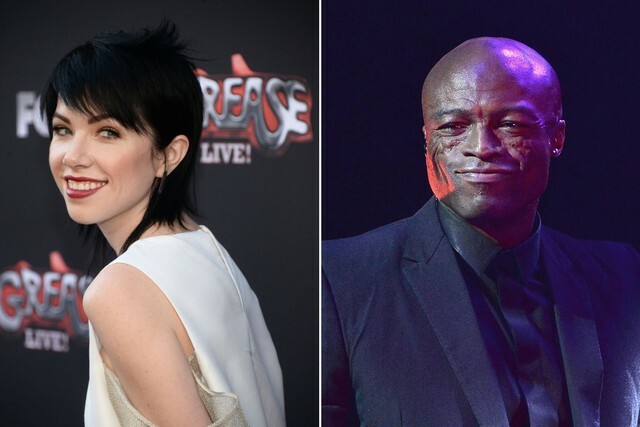 Jepsen also revealed that she secretly filmed Seal eating this loaf—pretending-t0-text style—and still has the footage on her cell phone. “He opened the bread, he removed a piece, he closed the bread, he ate the whole piece, nothing on it,” she said. “Then he did it all over again.” She did not clarify whether this private jet lacked butter, peanut butter, and jam, or whether Seal, for whatever reason, simply prefers his bread dry. You can watch this story yourself below. The bread stuff begins around the 5 minute mark.